Suitably Stamped: NEW Punch Art Pal! Meet Bridgette! I’m enjoying quite a relaxing day today. It’s so nice. We’ve had quite a busy week. I’ve been busy in my studio working on two projects for a very special reason. I was honored to be asked by Debbie McNeill of Crafty Person Productions to be their “Dynamic Demonstrator” for the month of February. I’m beyond excited to work with Debbie and be able to share what I do with her followers and friends. I had fun creating the projects and I was very happy that Debbie liked what I came up with. I’ll have to see if I’m able to share them with you at some point. 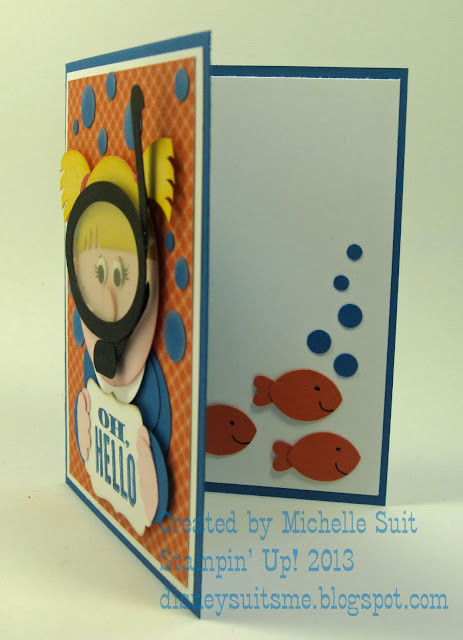 I’ve also created several new projects to share here on my blog this week. The one I picked to share today is a new addition to the Suitable Punch Art family. Woot! This little lady’s name is “Bridgette”. 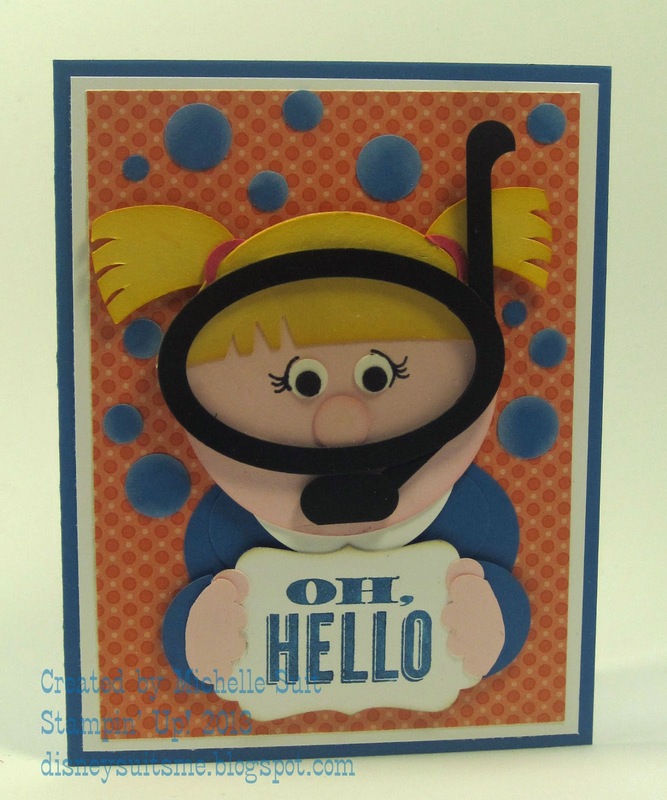 She’s enjoying a fun “dive” and exploring the deep…. Alrighty...I'd best be getting things ready for the week. Come back soon and see what I have been working on to share with you. I love, love, love Bridgette!! You are so talented and giving. Thank you for sharing. Over the top cute!! Love it!